An extraordinary effort in this vintage, this 2008 was made from lower yields than the 2010 (the 2008's equaled 20 hectoliters per hectare) and is a blend of 90% Merlot and equal parts Cabernet Franc and Cabernet Sauvignon that came in at 14% natural alcohol. Michel Rolland has been the consultant for all the Perse estates since their acquisition, and the 2008's fruit was harvested very late, October 20. The result is a backward, dense purple-colored wine revealing a crushed rock-like liqueur along with highly extracted, massive flavors of black currants, sweet cherries, licorice and toast. This full-bodied effort requires 5-6 years of bottle age and should last for 25-30 years. En primeur barrel sample. A blend of 90% Merlot, 5% Cabernet Franc and 5% Cabernet Sauvignon cropped at just 25hl/ha and aged in 80% new oak, this has another very pure cassis-driven nose, although it appears to be more restrained than usual, fourth-gear rather than fifth. The palate is full-bodied with thick, saturated tannins, well balanced though, no rough edges here with a super-smooth cassis, creme de menthe finish. 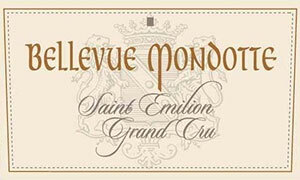 Like others it completely lacquers the mouth – long-term Saint Emilion. Tasted April 2009.